Aromatherapy is simply a way of awakening your senses with a particular scent. You may choose to fill a room — or an entire house — with the aromatic scent from one or more Essential Oils. Or, you might want to massage a combination of Essential Oils onto your skin, or add a few drops to your bath water. You’ve probably already experienced the benefits of aromatherapy — without even knowing it! How many times have you walked into the office of your doctor, chiropractor, massage therapist, or day spa and noticed a pleasant-smelling aroma filling the air? THAT was aromatherapy. Offices will generally use a combination of Essential Oils that help to relax and calm people. The right blend of aromatherapy oils can serve to de-stress and motivate people. Here are the 10 most popular Essential Oils and their properties. In fact, there’s a “perfect blend” for virtually everything under the sun. Whatever mood you’re hoping to achieve, or whatever mindset you’d like to be in can often be enhanced simply by the use of simple aromatherapy. I’ve been using Essential Oils and diffusers to fill my home with great scents for years now. It’s just so easy… and so refreshing. If you haven’t tried it yet, I’d highly recommend it. Have some unscented candles? What about candles that seem to have lost their scent? Just place a drop of Essential Oil on the candle before you light it, and you’ll benefit from the therapeutic properties of that particular scent. Some Essential Oils work best when they’re massaged directly onto the skin. For example, you can ease headache pain by rubbing one drop of neat Lavender Essential Oil onto your temples. Always use a base oil (like olive oil, safflower oil, or any other vegetable oil), and add a couple drops to that before applying to your skin. The only exceptions are Lavender and Tea Tree oil, which can be applied undiluted, if desired. Some Essential Oils have cleansing and odor-repelling properties. For example, you can freshen a pair of smelly shoes by dropping a few drops of Geranium Essential Oil directly into your shoes or place a cotton ball dabbed with a few drops of Lemon Essential Oil and leave in the shoes overnight. 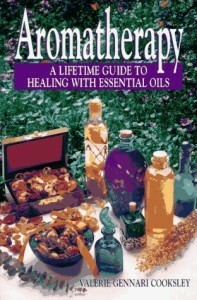 The scent from aromatherapy oils is so strong that they can make the best air fresheners in your home. For example, place a few drops of your favorite Essential Oil onto a small piece of cloth and toss into the clothes dryer. The heat from the dryer will activate the scent and make your clothes (and the entire room) smell great! Here are 12 fun ways to use Essential Oils and the number of drops to use each time. 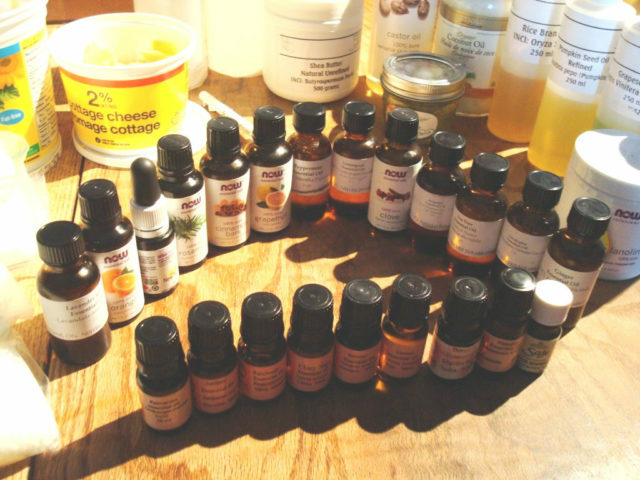 Most Essential Oils last from 1 to 3 years, when stored in a glass vial or jar (amber- or cobalt-colored is best). The exception is any Citrus oil, which only lasts for 6 months to 1 year. Even though some Essential Oils are good for a few years, once they are mixed with a carrier oil, the shelf life of the mixture will equal that of the vegetable oil — approximately 6 months, if kept under refrigeration and tightly capped. Therefore, you should add an antioxidant to your Essential Oil blends to prolong their shelf life. When you buy a new Essential Oil, write the date on the vial. 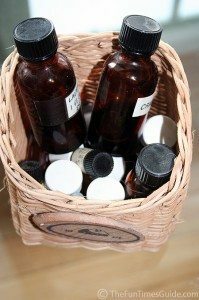 Store all of your Essential Oils in a cool, dry place, out of direct sunlight. Use a separate glass eyedropper for each bottle of Essential Oil that you own. This is to prevent cross-contamination. It will also dilute your Essential Oils and make them less effective for Aromatherapy purposes. They make eyedropper lids to fit all sizes of aromatherapy bottles. Your bottles should be stored with the eyedropper lid on securely, but NOT tightly. Why? Too tight, and you will lessen the life of your Essential Oils and your eyedropper lids. A sign you’ve got it on too tight: The rubber dropper part is puckering and the Essential Oil is traveling up the dropper toward the lid. If you won’t be using a particular Essential Oil for awhile, replace the dropper lid with the bottle’s own screw-on lid. This will assure a tighter seal, and prolong the life of your lesser used Essential Oils. Here are the best Carrier Oils to use. 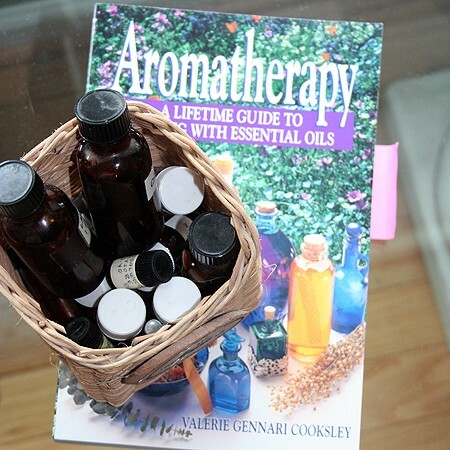 It’s the one I’ve owned for years — and refer to often — because it’s loaded with hundreds of aromatherapy recipes and Essential Oil blends for virtually everything under the sun!